Where does the word death come from anyway? Why do we call it death, and what makes people dead? They are more alive than we are. We’ve all heard the expression, “It was like hugging a dead tree.” Well, some people that are living are dead—or seem like they are. Joy is for the living and transitioning into spirit is euphoric with joy. So why then, are we so afraid of death? Is it the word death—the way it feels on our tongue or the way the word death feels to us? Why are we unable to celebrate our loved ones’ transition into a higher level of being? Is it only because we think we are being separated from them—that they are being ripped away from us? But just because we think they are—does that mean that they actually are? This book is about connecting with those that we love. It’s about realizing that we are still connected and always can be. It’s about believing in our loved ones’ love for us, that they have transitioned to help us and to teach us about being more in our hearts. All we have to do is stop—just stop and listen, using our hearts instead of our minds. Just stop, then listen…. Can you hear them…? “I’m still here,” whisper your loved ones in spirit... "I am still here." 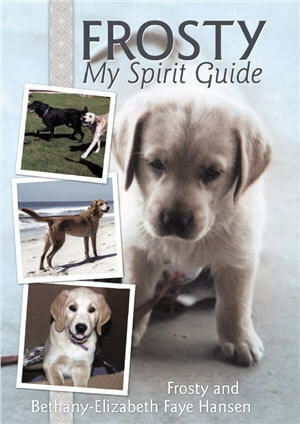 Frosty's book, "Frosty My Spirit Guide" can be purchased at Awakenings and Earth Stones, both stores are in Laguna Beach, Ca. It is also in the Upstart Crow book store in Seaport Village in San Diego, CA., Journey's in Salem, Oregon, and Upercase Bookshop, in Snohomish, Washington. It can also be purchased through Amazon.com or at your local Barnes and Noble store. 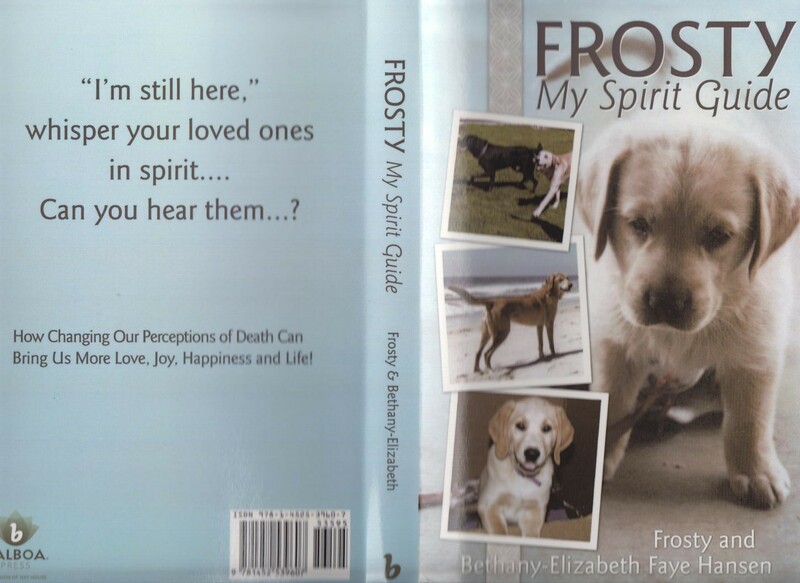 Frosty My Spirit Guide: How Changing Our Perceptions of Death Can Bring Us More Love, Joy, Happiness and Life!